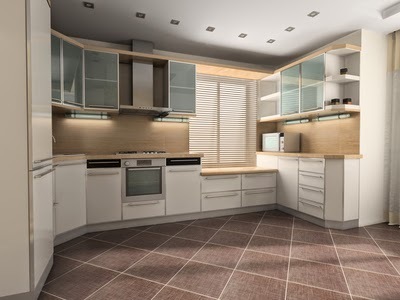 New Flooring Part Of Your Remodeling Plan? Whether you are remodeling or building an addition to your home, you will probably be making some decisions about new flooring. In fact, your entire home improvement project might be installing new flooring in some part of your house. Though it is much easier to just replace worn floor coverings with new versions of the same thing (like carpeting), it might be worth the time and trouble to think about doing something new. Who knows! You might come up with an idea that will change the appearance of the room. Your choice might also be more durable. Carpeting is an obvious choice, and it can work it most rooms of your house. It might not be the best idea in your kitchen, laundry room or bathrooms because of the risk of a plumbing leak. In most rooms, there is a carpeting option that will probably fit the bill. You’ll be able to choose a design and texture you like in any of a number of price ranges. Carpet is also quick and easy to install. Linoleum and sheet vinyl are very popular floor covering choices wherever there might be water. These materials are water resistant, very easy to clean and maintain and you can choose from a huge array of colors, textures and designs. Both linoleum and sheet vinyl are also made in designs that look a lot like more expensive natural materials, (wood, stone). Both of these materials are economical and easy to install. Hardwood and Engineered Wood flooring are also very traditional and popular materials. Hardwood is made of planks of wood. These are much easier to maintain today than they were when you were a child because they are coated with a protective material that keeps them looking good for years. Engineered wood flooring is made by gluing together three to five pieces of hardwood and laminating them together. These options will cost more than linoleum and sheet vinyl, and they are often not a good choice around water, but they look great. Laminate flooring is a very good choice around children and pets. Laminate starts with a fiber core. A printed layer that looks like wood or stone is attached and then a melamine coating is applied. Laminate is very popular because it is made to look like natural materials of all kinds. The melamine coating makes it water-resistant and scratch-resistant. Ceramic tile has been around for a long time. It can be used for floors, walls, kitchen backsplashes, and more. It is a good choice in high-traffic areas because it is very easy to clean and maintain.